From repairs to new AC system installation, our experts have you covered. No homeowner wants to deal with an unreliable, inefficient air conditioning system, which is why Air Inc. Heating and Air Conditioning is here to help you with all your air conditioning needs. We provide repair and maintenance, AC replacement, and new system installation, allowing you to get the right solution for your home. We service all types of air conditioning systems, and our experts will help you get the best solution for your home's needs. Call us today at 1-844-359-5454 or contact us online to get a free estimate on any of our air conditioning services in Branford, North Haven, Guilford, and the nearby areas. Depending on your home's needs and HVAC system, as well as your budget, there are a number of air conditioning options. Our experts will help you choose the best one for your needs. 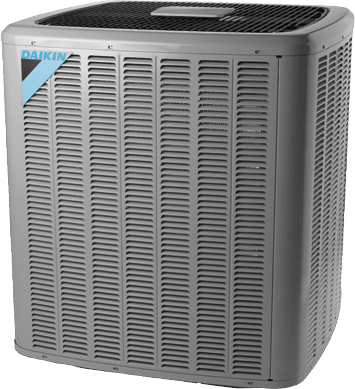 Central Air Conditioners: Central air conditioners, or whole-house air conditioning systems, circulate cool air through a system of supply and return ducts. Warmer air is drawn back to the cooling evaporator coil to be reconditioned. 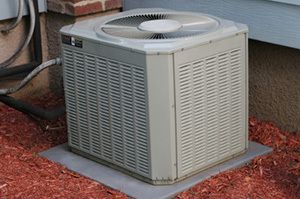 A central air conditioner is either a split-system unit or a packaged unit, depending on your existing ductwork. 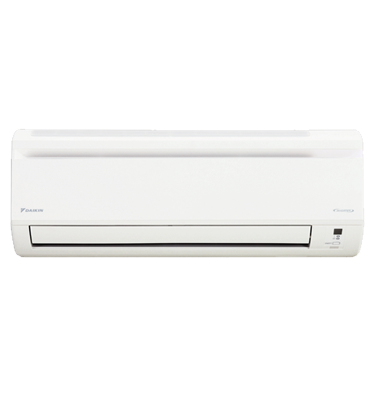 Ductless mini-split air conditioners: Ductless air conditioning provides the convenience and efficiency of a central air conditioning system without the need for ductwork. The air handler is mounted on the wall or ceiling to deliver cool air. When choosing an air conditioner, look for a high Seasonal Energy Efficiency Ratio (SEER). The national minimum is 13 SEER for central air conditioners. Some ENERGY STAR models are 14.5 SEER or more. A more efficient system will cool your home faster, keeping you comfortable while reducing your energy expenses. Depending on the age of your existing system and its efficiency, repairs or replacement could be the right option. We can help you understand all your air conditioning options and choose the right service for your home. Daikin air conditioners feature energy-efficient and dependable performance for care-free comfort in your home. Our air conditioners are designed specifically to provide you with years of reliable cooling comfort, even in the hottest months of the year. All units come with an acoustically engineered sound control blanket helps to reduce noise levels compared to units without a sound blanket. Multiple sizes are available depending on the output needed. 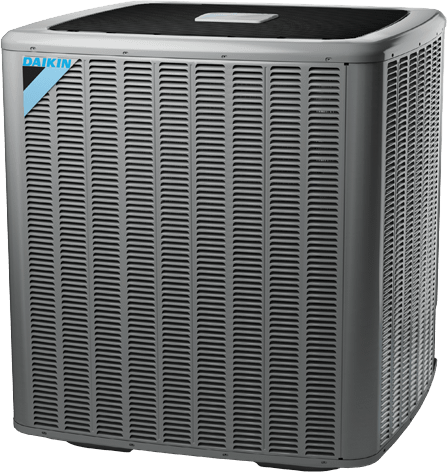 Our Daikin furnaces are engineered with unique design, which offers worry-free dependability and comfort in your home. By running at the lowest fan speed, you can lower your energy use and create a steady and comfortable temperature in your home. Our efficient gas furnaces convert up to 96 cents of every energy dollar into comfort in your home. Multiple sizes are availabe, and all our systems provide quiet system startup and shutdown. 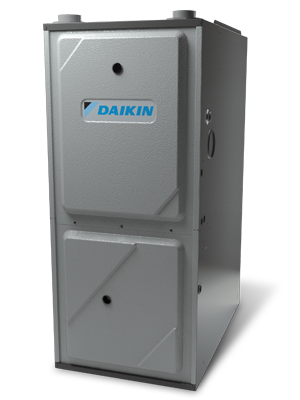 A Daikin brand heat pump is efficient and reliable. Our systems use a scroll compressor design which contains fewer moving parts, and a greater dependability. Our heat pumps provide high efficiency heating and cooling throughout the year, with multiple sizes available depending on the output needed. Get peace of mind with advanced diagnostics that constantly monitor your system, reducing failures and pinpointing trouble spots for a fast fix. It is essential to install the right type of air handler and evaporator coil to gain the highest level of comfort from your air conditioning and/or heat pump system. Our variety of air handlers and coils will ensure that your system is performing to the best of its' ability. Streamlined, wall-mounted indoor units are matched with quiet and compact outdoor units in our Daikin ductless heating and cooling systems. Our systems seamlessly blend with interior designs and are ideal for heating single room spaces. Efficient and quiet systems will ensure comfortable conditions at all times. Goodman is a member of the Daikin group, becoming one of the largest manufacturers of residential and light commercial air conditioning, heating, and indoor air quality products and systems. We focus on building the most reliable and affordable products in the market. We are committed to quality, and providing you with a comfortable and healthy home! Goodman offers a complete line of quality home HVAC products, all of which will make your home more comfortable and energy efficient. Air Conditioners: Multiple product options available, including ENERGYSTAR certified models. Heat Pumps: ENERGYSTAR certified heat pumps provide the most efficient home heating option available. Gas Furnaces: Gas furnaces are an excellent replacement choice for homeowners with older or oil burning furnaces. If you're tired of dealing with uncomfortably hot rooms and high cooling costs, call the air conditioning experts at Air Inc. Heating and Air Conditioning. We will evaluate your home and recommend the right repair, replacement, or installation services for your needs. Call us today at 1-844-359-5454 or contact us online to get started with a free estimate! We offer all our air conditioning services in Branford, North Haven, Guilford, East Haven, Madison, New Haven, Hamden, West Haven, Milford, Woodbridge, and throughout the surrounding areas.